WEDNESDAY, Sept. 19, 2018 (HealthDay News) -- Against the backdrop of an unrelenting opioid crisis, two new government reports warn that America's seniors are succumbing to the pitfalls of prescription painkillers. Issued by the Agency for Healthcare Research and Quality (AHRQ), the reports reveal that millions of older Americans are now filling prescriptions for many different opioid medications at the same time, while hundreds of thousands are winding up in the hospital with opioid-related complications. "These reports underscore the growing and under-recognized concerns with opioid use disorder in older populations, including those who suffer from chronic pain and are at risk for adverse events from opioids," said Dr. Arlene Bierman. She is the director of AHRQ's Center for Evidence and Practice. Bierman was part of a team that focused on trends regarding opioid-related hospitalizations and emergency department visits among U.S. seniors. At the same time, AHRQ's second report found that nearly 20 percent of seniors filled at least one opioid prescription between 2015 and 2016, equal to about 10 million seniors. 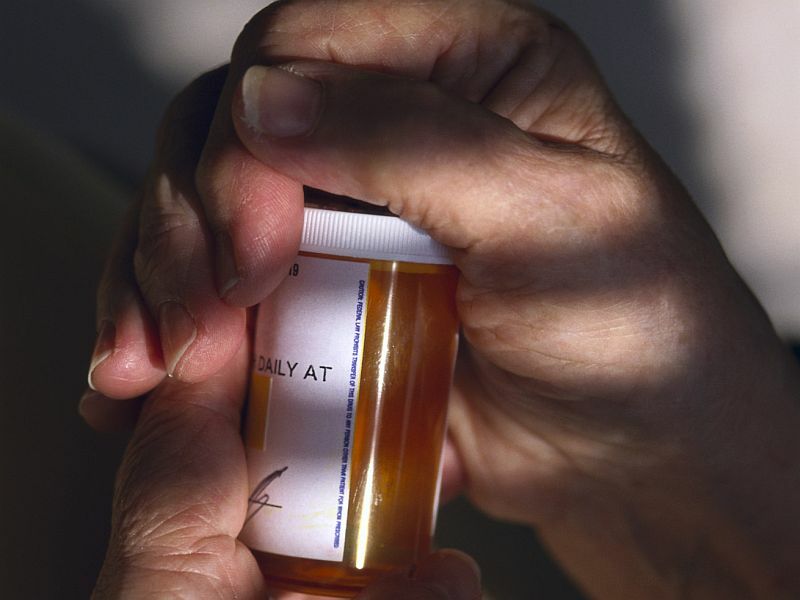 And more than 7 percent -- or about 4 million seniors -- filled prescriptions for four or more opioids, which was characterized as "frequent" use. Frequent use was found to be notably more common among seniors who were either poor or low-income, insured through Medicare or another form of public insurance, and/or residents of rural areas. Opioid use also went up dramatically depending on a person's perceived health status. For example, only 9 percent of seniors in "excellent" health filled out opioid prescriptions, compared with nearly 30 percent in "fair" health and 40 percent in "poor" health. The challenge, said Bierman, "is safe-prescribing for those who need opioids for pain, while avoiding overuse or misuse." Clinicians, she advised, could address that concern "by using non-opioid pain medications and non-pharmacologic treatments before considering the use of opioids." And she suggested that if and when opioids are needed, "the lowest possible dose should be used." Dr. Anita Everett is chief medical officer for the U.S. Substance Abuse and Mental Health Services Administration (SAMHSA). She said that the findings shouldn't come as a surprise. "As a society, we don't typically think of persons in the grandparent generation as having opioid use disorder," she said. But when common chronic pain is paired with "the generation of physicians that were taught that opioid medication, when used for pain, was not likely to become addictive," the result is a senior citizen opioid problem. And, Everett said, the problem is likely more acute among the rural and the poor, who "often are in situations wherein they have fewer resources, less alternative treatments and may not know about the chances of becoming addicted to a prescription medication." Shame, stigma and social isolation among older people may also complicate efforts to prevent addiction or tackle it when it occurs, she added. The solution? Everett suggested that caregivers have to be educated about the risk. "SAMHSA supports early training for all health professionals so that addiction can be avoided, identified and treatment offered as early as possible," she said.